There is something a bit special of the regiment from Gloucestershire. 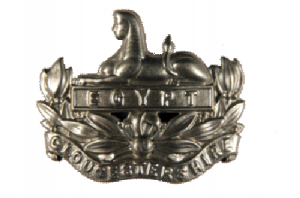 Unique to the Glosters, out of the whole British Army, is the fact that they wear badges on the front and back of their berets. Why this special honour? The Glosters were rewarded for their outstanding courage and resilience in an epic battle against Napoleon in 1801. Alexandria, Egypt in 1801 when the ranks of the 28th regiment were seriously outnumbered, they held their ground for months, refusing to back down until eventually the French garrison surrendered to them. Such bravery and tenacity was certainly deserving of a special honour. It wasn’t just this war that earned the Glorious Glosters their formidable reputation. They fought in battles in India, Quebec, South Africa and many more. The regiment was awarded 80 battle honours for their role in World War One alone. The Glosters were heavily involved in Dunkirk, the D-Day landings and the Battle of Normandy in World War Two. The battle that the Glosters are most famous for though is that which occurred in 1951 at the Imjin River in Korea. A huge Chinese army of 10,000 order prednisolone 5mg online came at them like a wave, fighting on the side of the Soviet-backed North Korean communists. Also known as the battle of Gloster Hill, the regiment were attacked at midnight after the Chinese army had marched for miles, carrying on instead of resting. There were 10,000 Chinese and only 3,000 men, of which, 650 were Glosters. 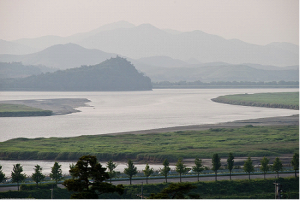 The Glosters men had been guarding a stretch of the Imjin River bank. The defence was brave with a hail of small arms fire, mortars and grenades being launched at the advancing attackers. The Chinese army, however, succeeded in taking the hills around the river and bombarded the British with bullets. The fight continued for a further 2 days with only 550 Glosters remaining and completely surrounded. Each man had to make his own way to a U.S position a few miles away and this highly dangerous undertaken meant that only 40 men survived and reached the U.S position. The rest were forced to surrender to the Chinese and kept as prisoners of war for 2 years in dreadful conditions. Due to the sheer grit and determination of these men, the U.S were able to push back and the Chinese offensive came to an end. The Glorious Glosters had, once again, done us proud and the regiment was formerly recognised by the United States, who awarded them with a Distinguished Unit Citation. The Glosters also received two Victoria Crosses for this one battle and their unwavering heroism in the face of overwhelming enemy attacks.